The Queen doesn’t leave the palace without one. Meghan and Kate swear by them. The designers speckled them all over the spring 2019 runways. The top-handle bag is back and it's capturing the hearts of the fashion crowd one clasp snap at a time. It’s easy to see why. The vintage-inspired bag adds instant polish to absolutely any ensemble, elevating even the simplest jeans and tee outfit. There is something altogether alluring about their structured silhouette—it’s no wonder the Duchesses of Cambridge and Sussex wear them with almost every outfit. If it’s good enough for royalty, it’s good enough for us! Over on the catwalks, designers from Prada to Miu Miu showcased the top-handle handbag in a variety of silhouettes and designs. From classic neutral hues and crystal embellished beauties to box bags and nostalgic trunk carryalls, there was something for every sartorial taste. 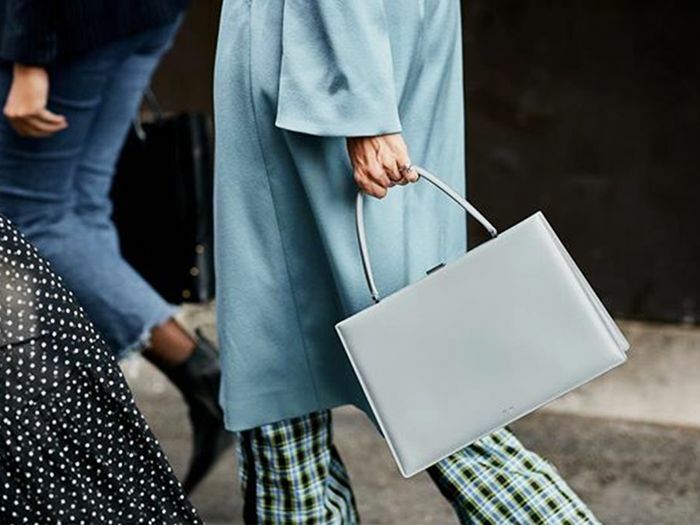 Scroll below to see how the fashion crowd is wearing its top-handle handbags and shop the chicest styles to add to your power closet. Consider them a part of your wardrobe staples this season. Up next, I found spring's chicest handbag trends for under $100.